the center drawer of my desk and come up with my Screenz card. We like to think the pathways of technology were clear, that a few far-sighted individuals were able to forge the future, while others missed out. 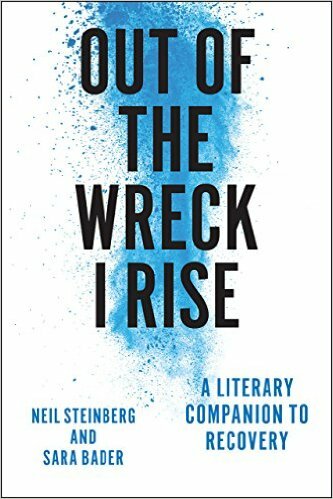 The truth was that nobody knew how the cards were going to fall, and those we think of as prescient were actually just persistent and lucky. It could have gone many other ways, such as this stillborn effort I tried out, once. Every now and then my father abruptly announces that he could have bought stock in McDonald's in the mid-1960s and we'd all be rich by now. I'm not sure why he says this — free-floating remorse, I suppose. Squeezing a government pension can do that to you. A good son would sigh and commiserate. But I can't help but perversely remind Dad that, in the mid-1960s, he didn't even allow his family to eat at McDonald's, never mind buying stock. I can clearly see us burger-craving kids, piled in the back seat of our lime green 1960 Nash Rambler. Waiting while mom pulled over to the side of the road at a phone booth to call my dad to ask permission to take us to a little red and white tiled McDonald's stand. He said yes, finally, but my mother had to argue with him. I flash back to my father's failure to recognize the potential of McDonald's whenever I confront a radically new business enterprise, such as the "Screenz Digital Universe," a computer center; coffee house that opened last week on Clark Street, south of Diversey. 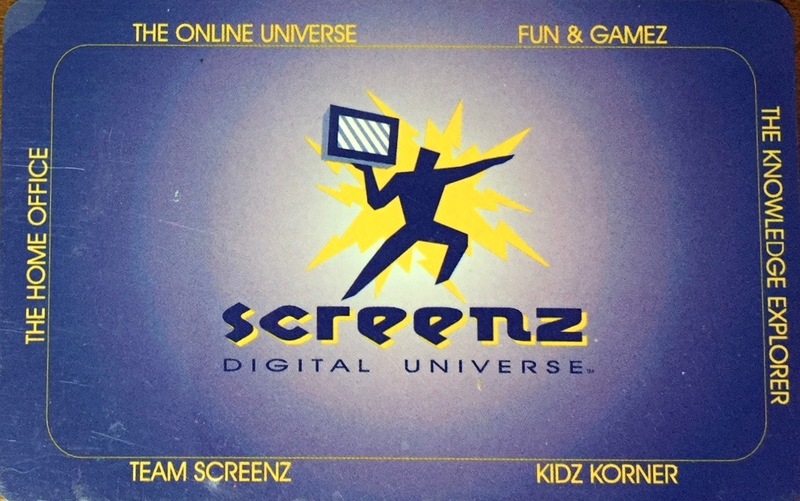 I must admit, I was first drawn to Screenz because I thought it was a cultural oddity, a momentary representation of our infatuation with computers and coffee, a blip on the social screen that I had better familiarize myself with now before it evaporates. But as I was shown around the day before it opened, by Screenz' founder, a 29-year-old entrepreneur named Dan Kite, I got the sinking feeling that maybe I was the cultural oddity, and this might just be something that will catch on with people in a big way. Perhaps, I wondered, I should go empty my bank account and hand the money to Kite, if only to keep me from an old age of impoverished regret. Screenz is a good-looking operation. Large, brightly lit, and done in pleasing purples and yellows. Fashionable metal chairs from Italy; sconces from Sweden. As you walk in, to the right is a small cafe section, where you can buy java — the drink not the software — and bakery goods. To the left, 45 computer stations, each with a jumbo 17-inch terminal, a joystick, a mouse, speakers, a little control board and a headset with microphone. "We're the only place outside the Navy using this," said Kite, putting on the headset and explaining how users will be able to communicate with each other — say while playing on the same team in computer games. They also will be able to talk to a centrally located helper, who will guide them when they get stuck navigating the intricacies of the online world. Eager to leap into this world, the day Screenz opened, I signed up, charging my Screenz card with $ 10 worth of computer time and grabbing a $ 1.25 coffee. Of course nothing at Screenz is beyond what you can do at home. What Kite is counting on is that most people will not have the quick, state-of-the-art equipment they do, nor the wide range of new software. The endless delays of waiting for my pitiful 486 computer, an antique at three years old, are wiped away by Screenz' powerful server and direct dedicated lines. Is this enough to get people to go to the place — a clean, well-lighted place — and pay 13 to 19 cents a minute? "We are really trying to be the community center in cyberspace," said Kite, who previously established a string of Blockbuster videos and a small software company. "We are focused on making this a neighborhood destination." I started in on the games, since I don't have any at home and wanted to know what all the fuss is about. I tried Doom 2, which I'm sure has 100 different levels, each more challenging and wonderful than the next. But I ended up stuck on the first level, having blasted away all my monsters, wandering the computerized maze, lost. I suppose I could have sought assistance. But I couldn't bring myself to press my aid button and say: "Help — I'm stuck in maze on the first level of Doom 2." It seemed, I don't know, demeaning. So I got out of the "Fun and Gamez" section and headed for "The Knowledgeable Explorer," another of the six zones Screenz has created to help its users navigate cyberspace. I was attracted to the Encarta Encyclopedia. Yet, as happens so often with my computer at home, I couldn't make the thing work. This time, emboldened by failing at an educational pursuit and not mere carnage, I donned the headset, and checked in with the helper, who was prompt and friendly in telling me that the Encarta wasn't working just then. At least it wasn't me. I poked around in various other areas and time slid by, if not pleasantly then at least imperceptibly. Every so often the computer would tell me how much money had trickled away. After about 45 minutes I decided I had better head home to supper. The computer thanked me, told me I had spent $ 6.90 and had $ 1.85 left in my account, which didn't precisely add up, but was close enough. The coffee, however, was excellent. The place seemed to be running well considering that it was their first day and, heck, if there are 10,000 Screenz outlets in a decade, it won't be because of me anyway. "Jumbo 17 inch terminal" in a cyber cafe . The entrepeneur also has invested in video rental businesses. Yet a handful of guys who made it easy to send pictures of your cat and what you had for breakfast are billionaires. Trying to predict the future will break your spirit. These 90's columns have been great. 20 years is the blink of an eye to those of us trying to stave off old age. On the other hand, it boggles the mind to see how much we've changed. In 1996 I hadn't yet touched a computer, and today I'm sitting in a movie theater waiting for "The Post" to start, killing time writing this comment on my Android Turbo smartphone. Saw "The Post" yesterday. Lots of newspaper business nostalgia, from not all that long ago. Noisy newsroom with lines of reporters pecking away at manual typewriters. Sheets of paper everywhere. People running around. A reporter trying to be surreptitious frantically pushing coins in a bank of pay phones and spilling some in the street. Linotype operators like junior grade demons making an infernal clatter. All seemed quite real to me, but, allowing for a necessary bit of dramatic license, I wonder how all you real journalists rate it for accuracy. I'm certainly no journalist, Tom, but I think the movie was superb. The only flaw I noticed involved the soundtrack in the opening scenes. I won't reveal the flaw because it doesn't take anything away from the movie. I'm kind of a late 60's early 70's music geek, so I notice things. Encarta Encyclopedia, there's a blast from the past. That was a Microsoft thing, yes? I remember getting Encarta CDs in the packet that came with my first desktop. Never could figure out exactly what it was and how to make it work. To me it was the equivalent of those encyclopedias that supermarkets used to sell--the first volume, "A-Azelia," was 10 cents, and no one I knew ever bought the rest. 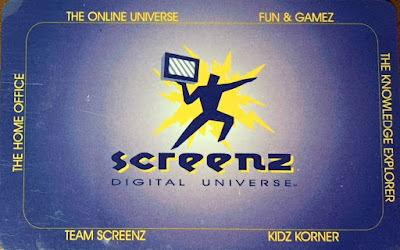 Looks like Screenz went out of business around 2010, but there's an Israeli company with the same name, so maybe the owner was able to sell the name before crashing.